Trees have a wide variety of complex relationships with the other organisms around them. Symbiosis: The tree can't do without its companion. Mutualism: It's happier when the other is there. Commensalism: It's indifferent. Parasitism or predation? Now there's a relationship the tree could do without! Do you see what they all have in common? Just by being there, the tree encourages biodiversity in the ecosystem it calls home. Its trunk, branches, leaves, flowers and fruit offer all kinds of potential niches for animals, insects and other plants to colonize. Of the 12,000 known species of ants on Earth, one-third – four thousand of them – are found exclusively in forest canopies! 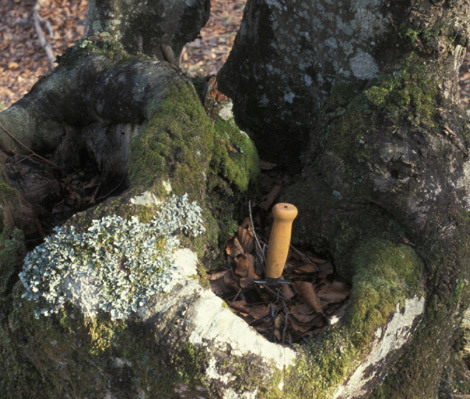 Each part of the tree is a unique environment, with microcosms ideally suited to certain organisms. High in the foliage the sun beats down, and it may be hot and dry. At the foot of the tree, things are cooler. And what about this funny fold in the bark that formed by accident while the tree was growing? It's full of water, making it a perfect home for certain insects!